Want a perfect way to capture your kids this holiday season? 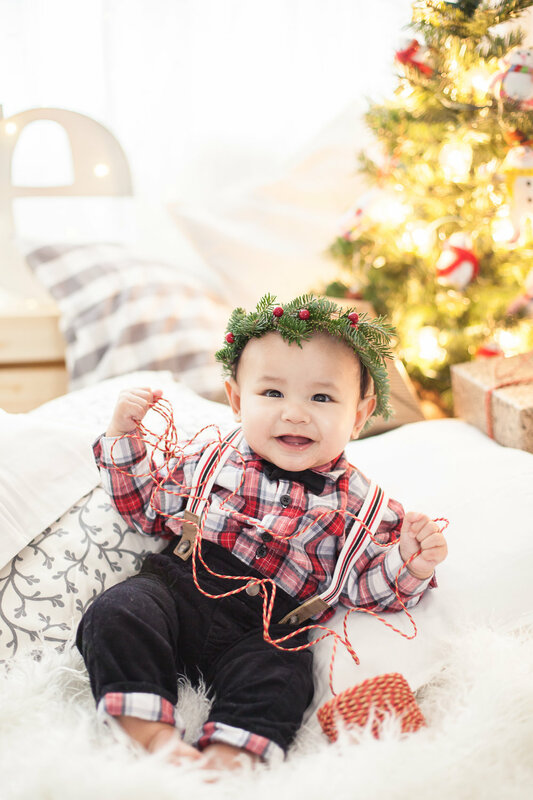 On Saturday, December 3rd, I'm offering Christmas photo sessions for kids and babies with a mini tree to decorate, holiday floral crowns, a rustic love sign and lots and lots of sparkling lights! Photo sessions are $159 (all inclusive) per family and will run 15 minutes long with a Christmas themed set in my home studio in Markham, Ontario, close to Highway 7 & 9th Line. Perfect for children and siblings, up to a maximum 3 children. Also great for babies who can sit or hold themselves up on their hands - hello tummy time! book before Thurs. Nov. 24 11:59 p.m. and recieve 3 bonus 5x5 prints on a unique smooth matte photo paper! After booking, you will receive an email with the studio address plus ideas and tips for what to bring and wear. Final images will be available for download in 5-7 days, just in time to get your Christmas cards! This event has now passed. Thanks to everyone who came out for the holiday fun! Follow me on Instagram to see some of the final photos and join the Sunday Kind of Love community to be the first to know about new mini session events! To make sure you can get our future emails, please click on the link in the email we just sent you. Interested in doing a portrait session with your family? You can read more about our portrait experience and pricing here.